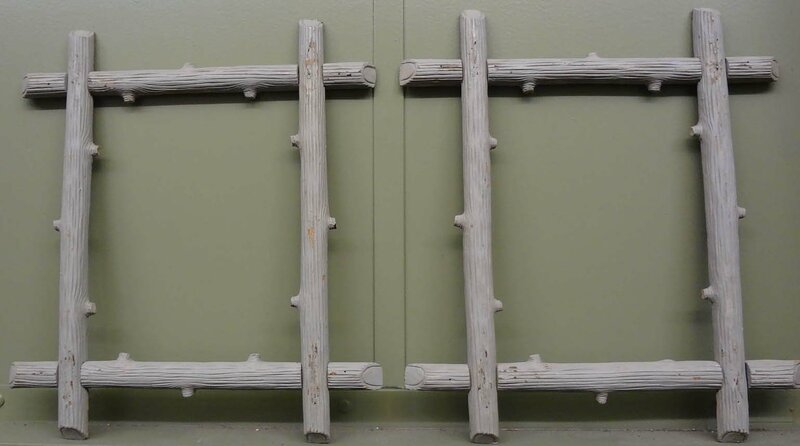 In original antique putty white color paint, this pair is incised and carved and has little ends of twigs all around the frames. Insert compatible photos or mirrors. Great condition with appropriate age weathering.